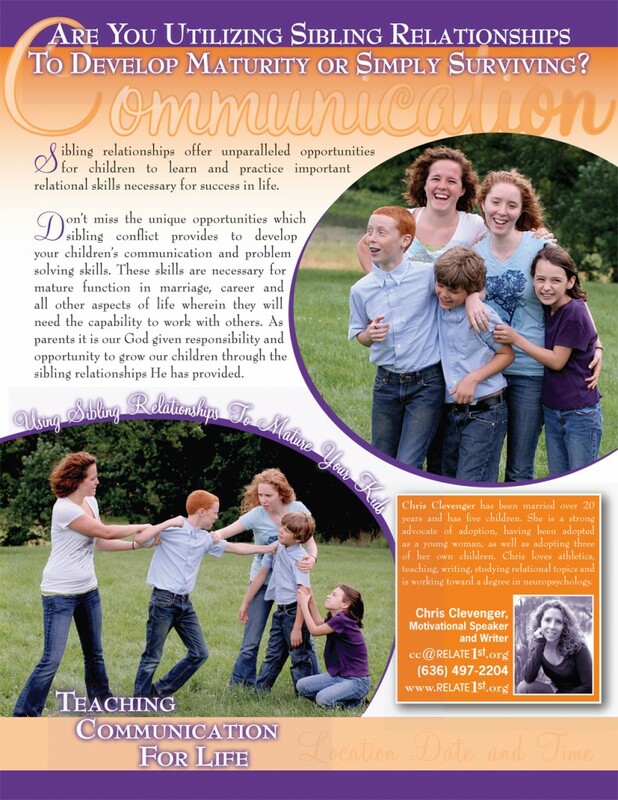 Are you using sibling conflict to teach the communication skills necessary for life, or just surviving? Sibling relationships offer unparallelled opportunities for children to learn and practice important relational skills necessary for success in life. Don’t miss the unique opportunities which sibling conflict provides to develop your children’s communication and problem solving skills. These skills are necessary for mature function in marriage, career, and all aspects of life wherein they need the capability to work with others. As parents it is our God given responsibility and opportunity to grow our children through the sibling relationships He has provided. This presentation can be given in differing lengths to parents with their children in attendance, couples or to mothers. Pricing varies based upon length of presentation, number of attendees and distance traveled. Contact us to learn more about packages and presentation options.